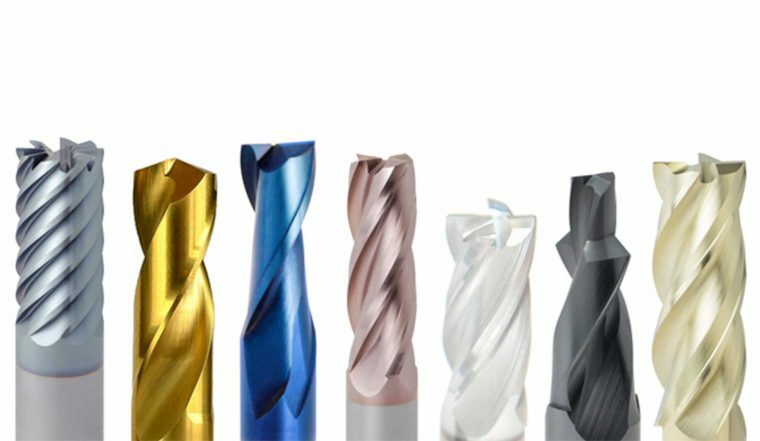 PVD (physical vapour deposition) coatings are mainly used to protect, optimise and refine tools – across most industries and areas of application. Coating temperatures of under 500° C – low when compared to other methods – make PVD coatings especially suitable for use with high-speed steels, hot work steels and certain cold-work steels. PVD technology is predominantly used in machining, metal forming and plastic processing. Special PVD coatings are also suited for use in sensitive fields such as medical technology and the food industry. 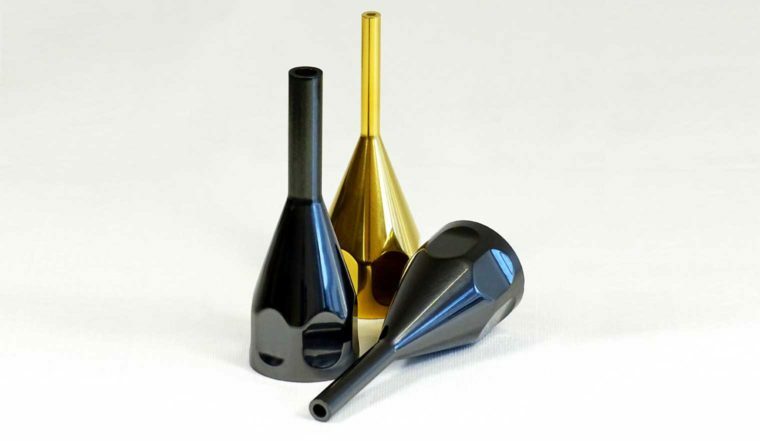 The PVD method is based on the release of metallic coating components such as titanium, aluminium, zirconium or chrome. 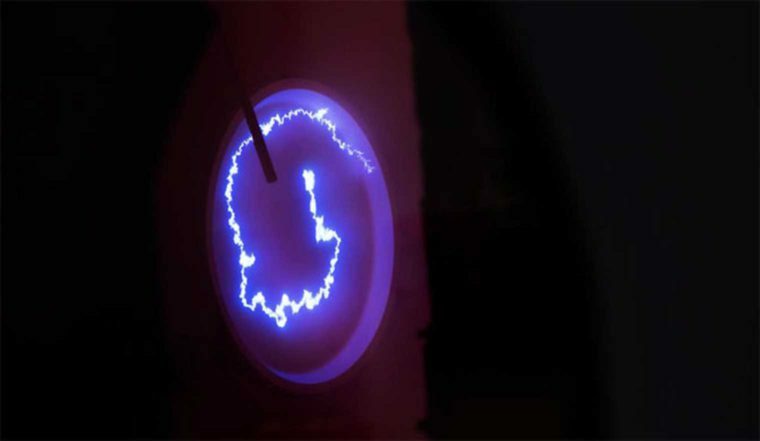 In a high vacuum, these metals are being converted to their vaporous state and their particles are being transported to the work pieces by means of electric fields and plasma. Through adding a reactive gas component (e.g. nitrogen, carbon and the like), the metallic particles merge with the surface of the work piece. This coating process allows for the deposition of very thin yet exceptionally hard and strongly adhesive coatings. At Eifeler Plasma Beschichtungs GmbH, we apply PVD hard coatings by means of the arc evaporation method in proprietary Eifeler coating units. Thus, we achieve excellent adhesion strength without loss of hardness, warping or changes to the micro-structure of the base material. 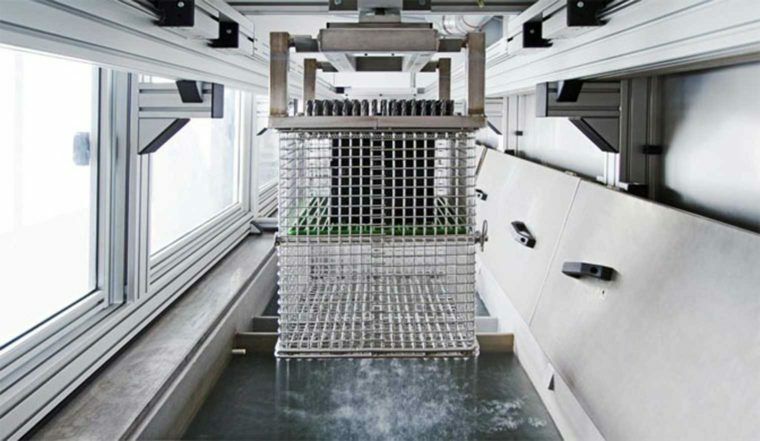 Some special coating systems can also be deposited using a low temperature method at approx. 250° C to 350° C, if and when required. The low temperature method is not used as standard but can well be the right solution for certain applications – e.g. for very low-tempered steels. PVD coats can also be applied very thin (approx. 1 µm). Generally, the coating thickness depends on the size of the tool (e.g. less than 2 µm for micro tools). 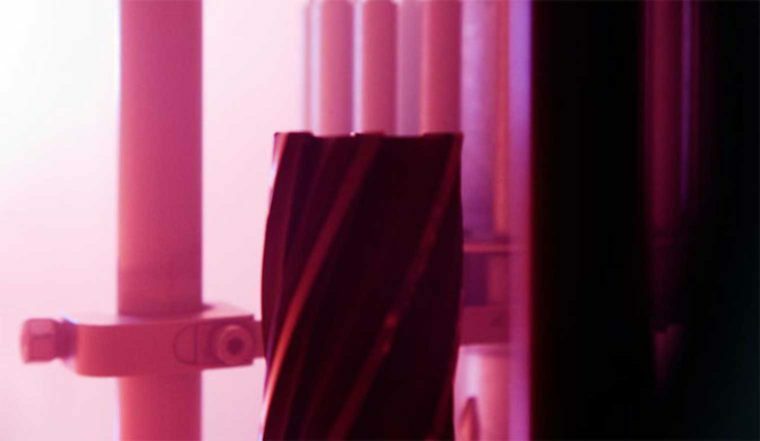 Some coating systems allow the deposition of up to 10 µm. You can find all the details on the requirements for PVD coatings under the menu item requirements. 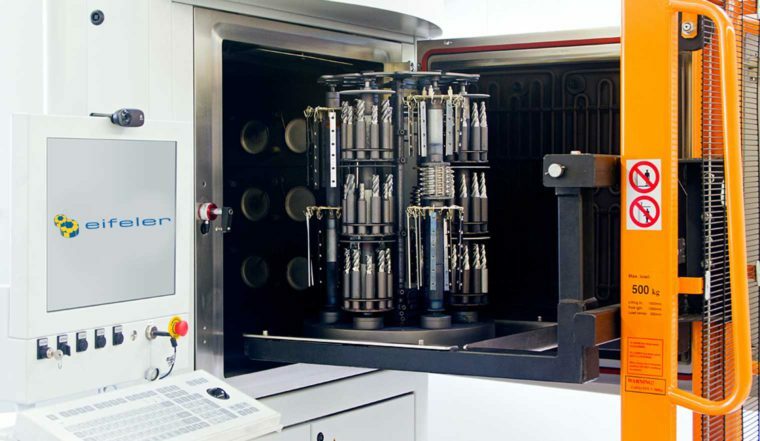 We have a broad standard portfolio of tried and tested PVD coating systems at our disposal which are consistently refined and adapted to the requirements of the age. You can download a tabularly overview of these Eifeler coating systems as a PDF file here. No coating system from our standard portfolio perfectly matches your area of application? Upon request, we can offer you additional coating systems (Tigral, Topmatic, Dumatic, …) or offer you a new development specifically tailored to your requirements. Just contact us – we carry / find the right coating solution for you!